Photographs by Ronny Jacques for Harper's Bazaar, April 1974. 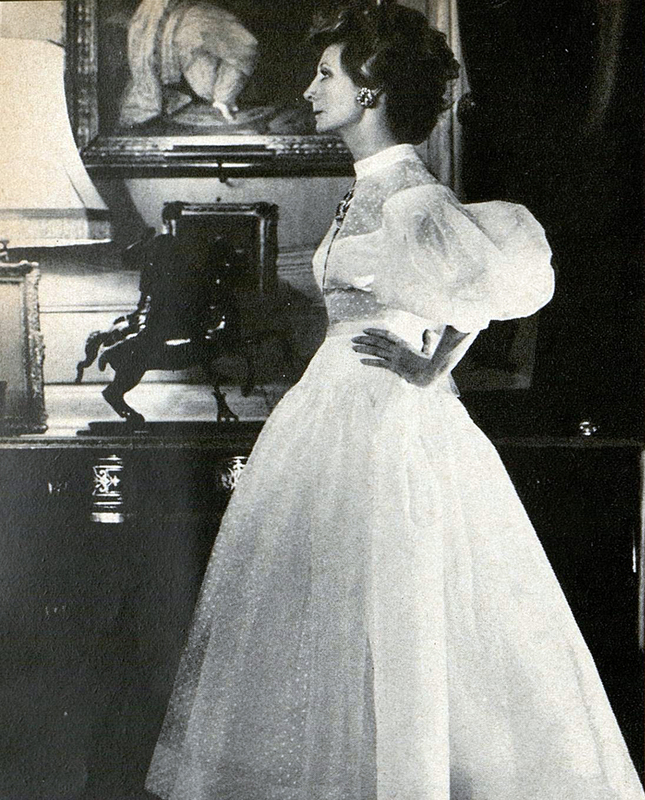 As part of the Lady way of entertaining, we are seeking to bring back an emphasis on dressing for dinner—and particularly on dressing for dinner at home. Though TV Dinners were first launched on the market in 1953, many women still continued to dress up for dining at home into the 1970s and 80s. While this might be considered a rather old-fashioned idea now, we believe that taking care with one’s appearances when entertaining (even if just one’s partner) is a sign of good self-worth and self-confidence. 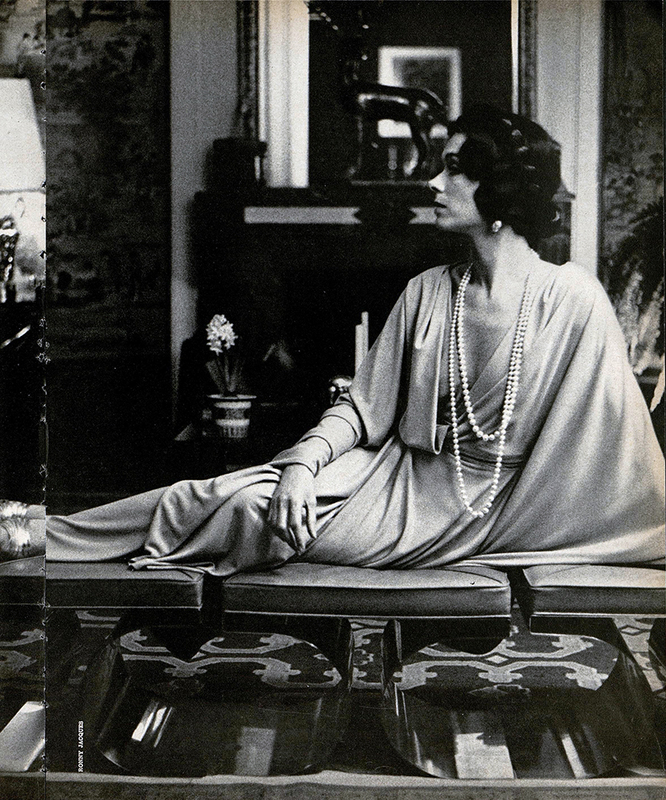 In 1974 Harper’s Bazaar asked Paris’ leading couturiers to choose their favorite clients to be photographed in the most important evening clothes of the Spring Haute Couture collections—the women were all shot at home, inhabiting the couture ensembles with elegance and the security of confidence and wealth. Haute couture isn’t a prerequisite—just a dash of style to gently separate the evening meal away from the toils of the workday.